Why the CES Meditite rather than the PRC one? I’m guessing CES for higher HP and 30 attack to hit for weakness, but is there not value in the single energy for 20 of the PRC one? Excellent article! I love the Darkrai 2.0 list, very tempted to try it in Portland. My main complaint is that you didn’t post this article earlier so I’d have some time to practice with it! I like the idea of adding a Solgaleo GX SUM - what would you cut? I’m thinking maybe one of the Dark Cloak (free retreat) Darkrai EX’s since you won’t need their ability if you have Ultra Road. Would you also add another Rare Candy or Cosmoem, or would you just plan on getting only two of the Solgaleo GXs into play (which two depending on matchup)? 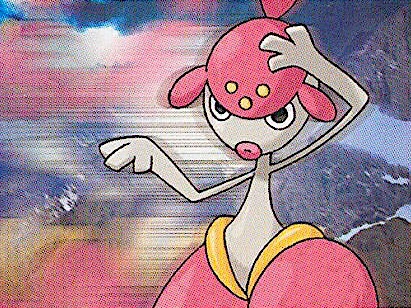 Could you elaborate a little bit on the Plea GX counter strategy? I can see how the Cosmoem lets you get one back into play after having two Rare Candy-evolved Solgaleos shuffled back, but how is it different than an extra Rare Candy? Do you still only set up a single Solgaleo in that matchup? It seems like setting up two is just too risky even with the Cosmoem. I would probably cut the dark cloak for the Ultra Road Solgaleo-GX. You’re correct on your assumption with the absol. I chose to not play a Roadblock because zoroark will generally play down muk or garbotoxin anyways. Basically, having the cosmoem over the candy just allows you to get a solgaleo into play under item lock. If you’re incredibly worried about plea GX, then you could hypothetically play another cosmog and rare candy, which would complement playing ultra road. But you can just get away with never playing both rare candies before the Plea. Cuts for those would probably be the absol, an energy acceleration card, or a skyfield. Yeah, for anyone curious, this is on me. Do you think that doublade is better than raticate BRC/raticate BREAK in your doublade/ariados deck? I believe so. Being able to chain them much easier is what makes it viable.